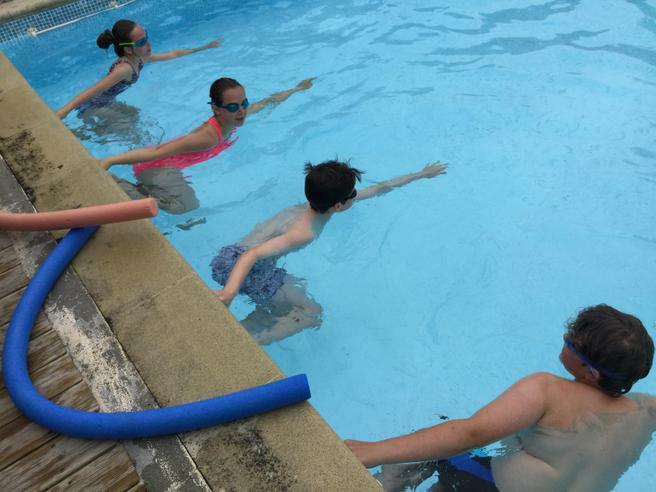 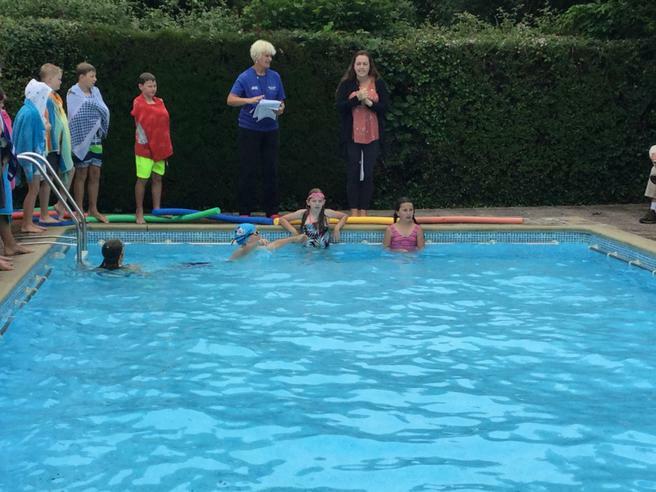 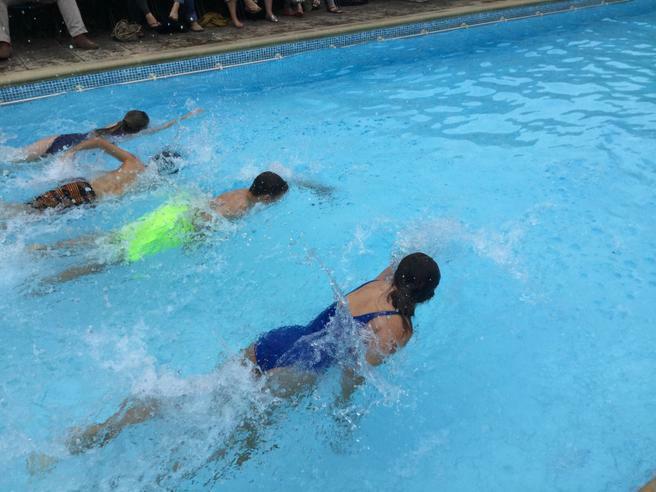 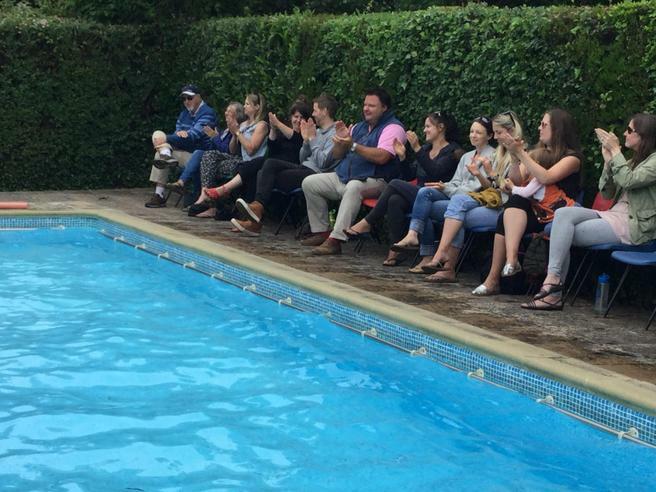 The first main event of our sports week took place on Tuesday 19th June and Wednesday 20th June with our annual Swimming Gala. 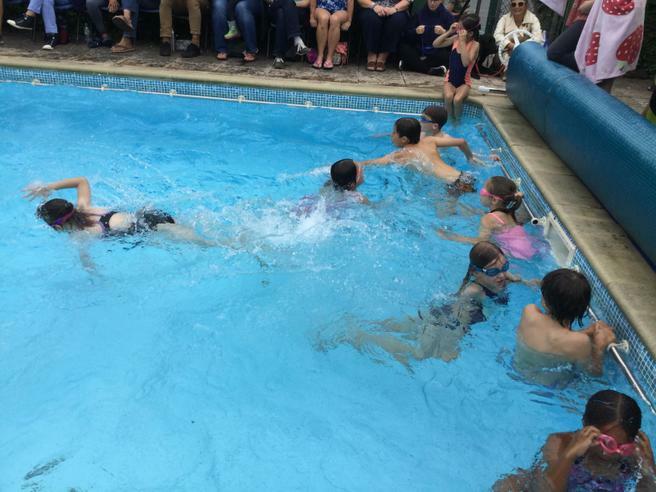 This year we decided to do it over two days separating KS1 and KS2. 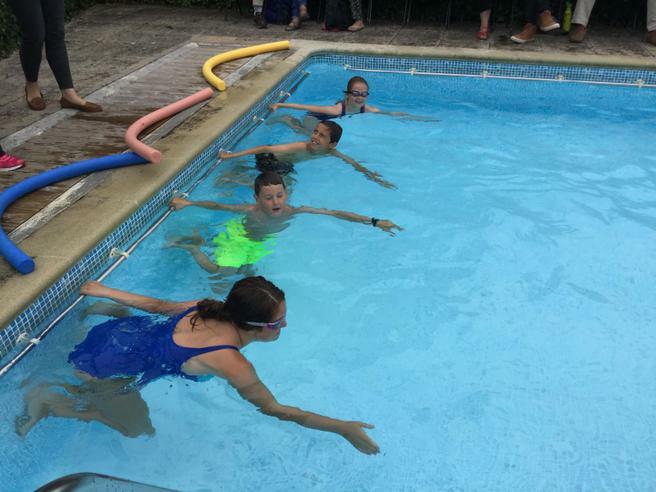 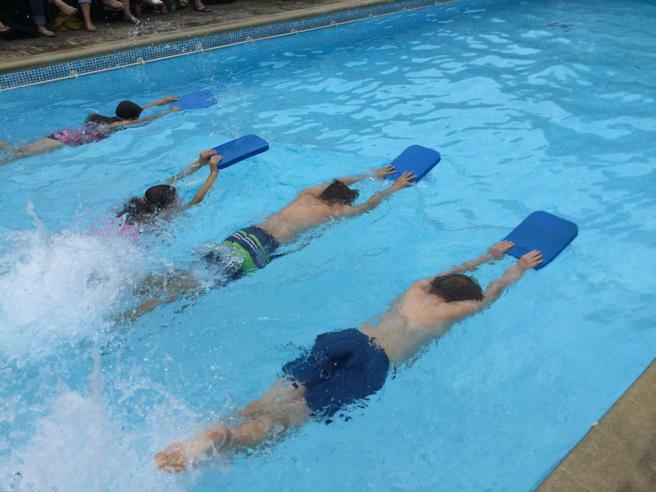 Competing in their 'Houses' the children took part in a variety of races from one width with a woggle for our younger children to two lengths free-style for our older children. 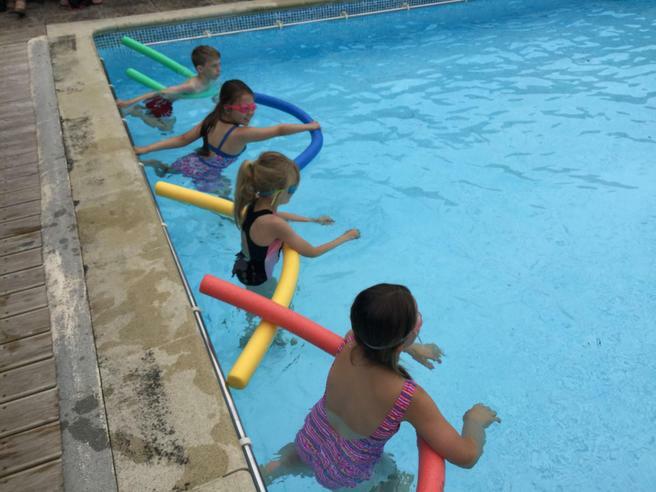 Despite a few grey clouds, the children all had a wonderful afternoon, thanks to Mrs Drew's wonderful organisation and planning.